What’s goin on guys, Jerry Neutron here and I am back with another video. Just got this mouse in for review from Logitech, this is the Logitech G Pro gaming mouse. If you’ve browsed Reddit or any PC gaming forums over the last couple of months you’ve probably noticed there’s been a lot of hype surrounding this thing considering it’s lightweight, uses the PMW 3366 optical sensor and according to #Logitech, was designed with input from several pro FPS gamers. So I finally got my hands on one, been using it for about 2 weeks now so we’re gonna talk a little bit about it and then I’ll let you guys know whether its worth the buy or not. So first let’s talk about the shape, if you’re familiar with Logitech mice you’ll notice the Pro has a very similar shape to the old G100s. 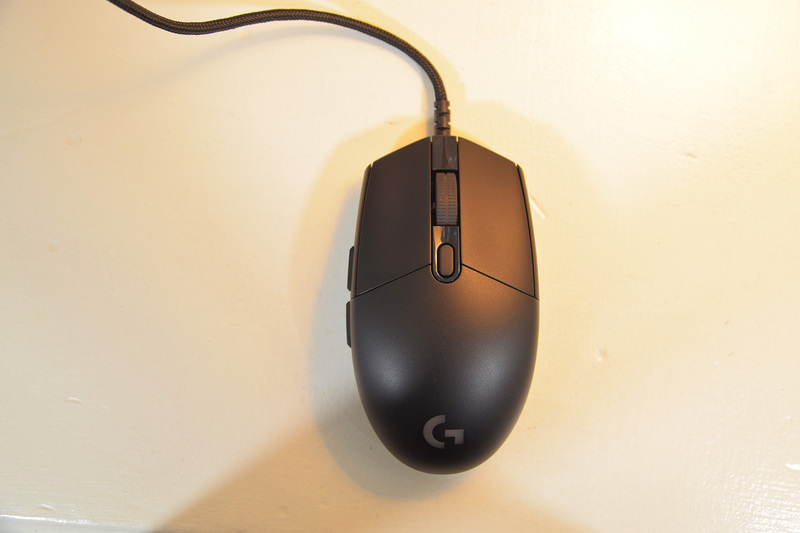 It has sort of a slim design with rounded edges towards the middle of the mouse although not as extreme as the G303 which actually makes it comfortable to use. I haven’t experienced any fatigue or hand cramping up to this point which is a plus and overall I’m a fan of the shape. 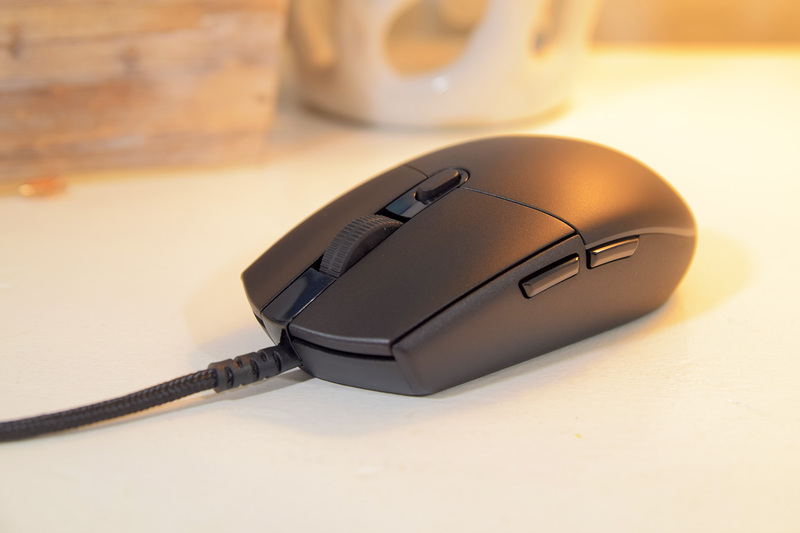 It’s also a fairly short and flat mouse which means unless you have tiny hands, you’ll likely be holding the Pro with a claw grip or fingertip grip. Luckily the mouse is also pretty lightweight coming in at just 83g which feels great when you need to make that quick flick for a headshot. I generally prefer anything under 100g so this mouse easily meets the weight requirement for me. Button-wise the Pro is using Omron switches for the main buttons which are rated at 20 million clicks. Logitech has also introduced a spring tensioning system which they claim allows for more consistent clicks and also removes the slop from your button presses. In my experience the left and right clicks are nice and firm, not to the point of being fatiguing but you won’t have any issues with accidental button presses here. In fact these are probably my favorite main buttons right now because although they are firm, they’re still nice and responsive. As for the other buttons, you get this nice rubberized scroll wheel which I initially thought I would hate but after using it for a while I’m actually a big fan. It was dependable when switching weapons in Doom, which is something that you’ll do often in that game, it has a nice grip on it and it wasn’t too loud when scrolling which I can appreciate. Just above the scroll wheel you get a single dedicated button for DPI adjustment and on the left you have two side buttons. As you can hear these are nice and clicky but I do wish they were taller, maybe similar to the G403 in size. Right now they’re just a little bit too thin for my taste. 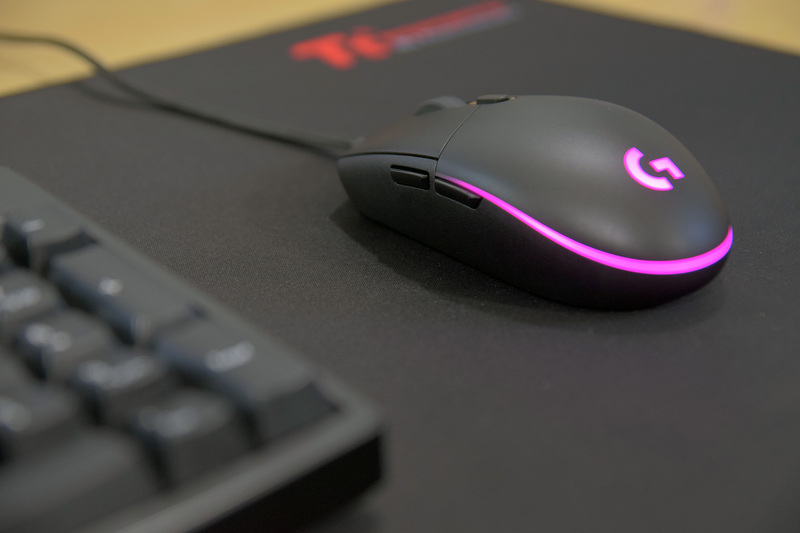 Aside from the buttons you’ll also notice the #mouse has RGB lighting. 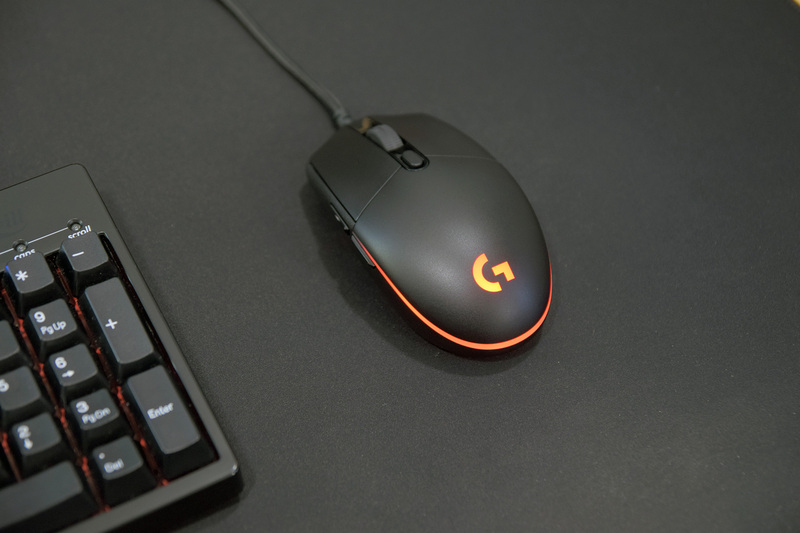 There’s a small strip surrounding the backside of the mouse along with an illuminated G. Not much to say about it really, it’s there to match your peripherals if you’re into that but can also be disabled through the software if you’re not an RGB fan. If we flip the mouse over you can see the small mouse feet, a little bit different than I’m used to seeing with the 4 small feet verses the two larger ones that span the width of the mouse but I haven’t noticed any difference in tracking at this point. You can also see the PMW 3366 optical sensor which is generally regarded as the best sensor on the market. It’s sometimes difficult to describe the difference in sensors over the internet but one thing I’ve noticed when using the 3366 or even the 3360 is that the tracking just feels better. It’s something that you really need to experience first hand. The accuracy is spot on, going exactly where I want it to go. 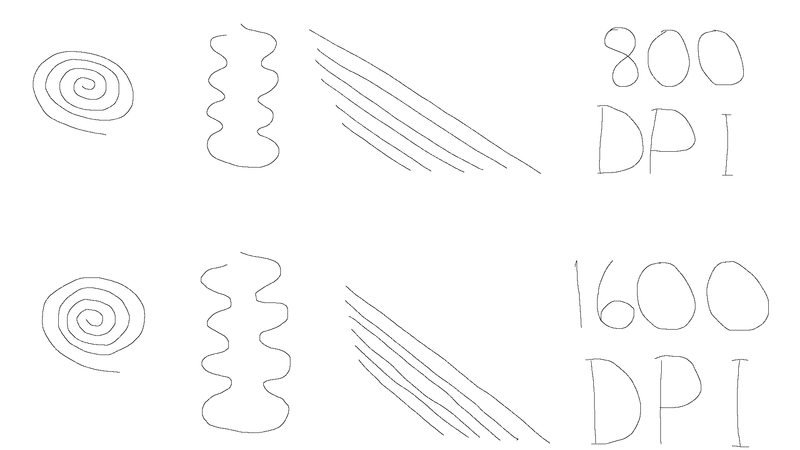 I didn’t notice any jitter or prediction when testing the mouse at 800 and 1600 dpi and the default lift off distance is about 1 CD high. Moving on, the last thing to look at is the Logitech software. Here you can remap buttons or change your dpi sensitivity levels. You have a range of 200 to 12000 DPI in steps of 50 so that’ll really allow you to fine tune the sensitivity to your liking. Under the lighting tab you can enable various lighting effects like color cycle and breathing effect. Setting the Lighting Effect to Off enables a solid color which I thought was strange. Not sure why it’s not actually listed as Solid Color instead of Off. If you truly want to disable the RGB lighting you have to click on the Logo button under Lighting Zone Selection. Aside from that you have surface tuning which allows you to fine tune the sensor to your mouse pad, I’m assuming here it makes some type of adjustment to your lift off distance. And then you have a heat map which will show the buttons you’ve pressed the most. There is also a mode that will allow you to load profiles on a per game basis so if you want specific button mapping for different games this will allow you to do it which is a pretty cool feature but not one I see myself using. All in all the software seems solid, not much to complain about there. So to wrap this up, here’s what I think about this mouse. It’s lightweight, it’s shape doesn’t get in the way, it’s got a solid sensor and good main buttons. It may look like a mouse from your mom’s pre-built Dell computer but it performs well without getting in your way which is why I am making this my new daily driver. I’ve been rolling with the Mionix Avior 7000 for a couple of years now but I think it’s finally time to move on and this is my choice. So, this definitely gets a recommendation from me, a solid mouse although it is expensive so if you happen to catch one on sale jump on it ASAP! So that’s about it guys, like this video if you enjoyed this type of content. Subscribe if you haven’t already! Don’t forget to follow me on Twitter @JerryNeutron and until next time…see ya!